Spray-extraction cleaner mounted on driving frame. Stainless steel container. 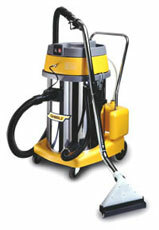 The CEME version is equipped with a powerful pump of 60 W, spray rate 4,25 l/min, spray pressure 6 bar. The ULKA version is equipped with a powerful pump of 28 W, spray rate 0,95 l/min, spray pressure 4 bar. Pump thermo-protection. Separated pump control. Standard drain system. 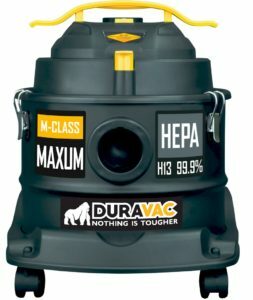 Usable as wet/dry vacuum cleaner only with specific “on request” accessories. AUTO version is equipped only with hand nozzle and 6 m spray-ex hose Ø 40. Click here to return to the full Ghibli range page. Feel free to contact us for additional information. 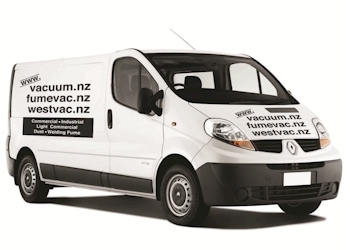 We are happy to advise on the right vacuum cleaner for your needs.